least appreciated advertising mediums... Hip Hop Mixtapes. Hip Hop Mixtapes are an excellent source of exposure for many up and coming artists. They help preview and create hype for new songs almost like a movie trailer does for movies. The Mixtapes often help promote Hip Hop Artists and their music by offering an early sampling of new music either in its original format or sometimes in a special DJ remix format. Often times the song is mixed into and out of quickly only offering a sample of the entire song so as to still encourage patrons to get the full song. In this way Mixtape enthusiasts can get a good taste of new music without the Artist suffering lost revenue and album sales. Instead this format helps boost song and artist recognition and actually helps boost artist sales and concert sales, especially in parts of the country that would otherwise be missed by the limitations of their advertising campaign. Mixtapes are also are a great promotional tool for the DJs who make them, Allowing Nightclub owners and Concert Promoters get a quick feel for the talents mixing and scratching skills and music selection that the DJ may bring to an event. DJ Emir is a very Hot up and coming Mixtape DJ He has produced Some of the best Hip-Hop Mixtapes we've sampled to date. A Tag Team CD put Together by DJ Shake and DJ Mier of The Infamous Crunk Brothers Crew. A unique blend of Hiphop anmd Dance Music with Breaks, Battle cuts and Juggles and of course some exciting remixes thrown in for good measure. Wow, I gotta say the intro to this mixtape was really hot DJ Amen started this hot underground Hip Hop Mixtape CD with a tight Intro medly incorporating Kanye West's voice scratched in saying Amen along with some smooth one liners like sounds like the greatest of... A A A Amen! over some of his new hot beats. The samples he put together made this one of the hotter Hip Hop Mixtape intros we've heard in a while. That just got us all excited and ready for the rest of this hot little Mixtape CD. Great Mixes and Cuts By Both DJ Amen & DJ Sound Supreme make this a nice addition to any Hip Hop Mixtape Library. Definitely look out for this new tag team to be putting out even more quality underground Hip Hop Mixtapes in the near future. One of the tightest Turntablist DJ Crews in the country The Crunk Brothers have been leaving their mark and making themselves known and respected in the Turntablist and DJ Battle Communities for that past few years. They have also begun taking that experience further by entering the club scene and also introducing their new series of Hip-Hop Mixtapes to the world. Crunk Bros. Mix-Cds encompass plenty of beat juggles, remixes and scratches to enhance the phat Club Joints the listener wants to hear. Definitly worth checking out. Emir has some tight skills. His CDs all appear to be well thought out and put together with care. The 4th Volume in his Techniques Hip Hop Mixtape series was hot from beggining to end. The mixing was supurb with clean blends and remixes, bounced beats and quick scratches. The sound quality was strong and loud good clean beats and strong baselines making it easy to enjoy the great music selection and turntablism. This Series is a cut, and a scratch above the rest! 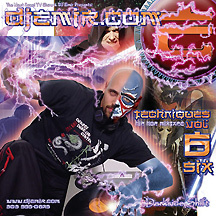 Get Your Copy Of Techniques Volume 6 Today! 80 Minutes of Banging Hiphop Music Just $10! 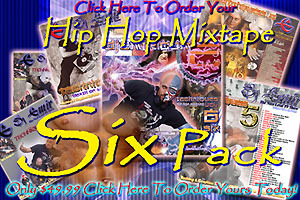 Get Your Mixtape Phat Pack Today!